Prof. Ionescu is Scientific Director and founder of the Special Clinic Neukirchen, Bio-Data and Energy Cosmetic companies, located in 93453 Neukirchen, Germany. After graduation in biochemistry and immunology at the University of Bucharest, 1976 and a scientific fellowship in Montreal, Canada, he wandered to West-Germany and established there since 1980. He received his PhD in medical biochemistry 1983 from the University of Saarbrücken, Germany, and directed until 1985 the research programme of a dermatological clinic in Aschaffenburg. Main research areas included the atopic diseases, psoriasis, arthritis and the MCS-syndrome. Prof. Ionescu founded 1986 in Bavaria the Special Clinic Neukirchen for the treatment of allergic, skin and environmental diseases according to the principles of the nutritional and environmental medicine. The 160 bed facility is fully integrated in the official hospital system and the treatment fees are reimbursed by all German and Austrian health insurances. The original diagnostic and therapeutic approaches of his cortisone-, cytostatic- and radiation-free concept have been reported in more than 140 scientific publications in Germany, Europe and USA. Current work involves the investigation of biological redox systems and free radical reactions in skin, environmental and cancer patients. His research results are subjects of new methods for the rapid free radical and redox potential assessment in human blood samples, new dermatological formulations for the diseased and aging skin, patented anti-cancer drugs and original integrative protocols for the treatment of MCS, CFS and chronic dermatoses. Prof. Ionescu is member of the European Academy for Allergology and Clinical Immunology, of the British Society for Allergy and Environmental Medicine and of the American Academy of Environmental Medicine. 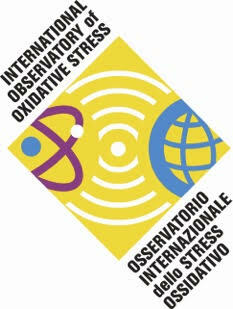 As Scientific Director he is also active in the Board of the International Oxidative Medical Association (USA) and of the NRW Multiple Chemical Sensitivity Association (Germany). Since August 1998 he was nominated as Professor for Clinical Biochemistry and Oxidology at the Capital University of Integrative Medicine, Washington, D.C. (USA). 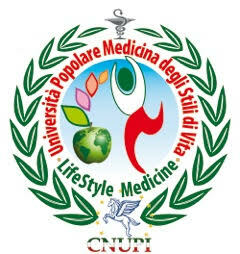 Prof. Ionescu is also member of the Editorial Board of the Journal of the Capital University of Integrative Medicine. Our experience in the treatment of over 20,000 atopic eczema, urticaria and psoriasis patients shows that besides allergic reactions to foods an increasing number of pseudoallergic reactions caused by toxic-irritative pollutants (formaldehyde, exhaust particles, additive-rich food, nicotine, wood preservatives, pesticides, heavy metals) are responsible for the inflammatory process behind the complex symptoms. Intrauterine and postnatal environmental influences were also reported. The routine analysis of specific IgE- and IgG4-factors in our atopic patients by means of ELISA-assays after challenge meals (CM) showed an increased frequency of specific IgE- and IgG4-antibodies after repeated CM. In 60% of the patients, we simultaneously found raised concentrations of the IgE- and IgG-CIC (p< 0.005) responsible for the delayed allergic reactions in the same group. Further inflammation markers like acute phase proteins (a1‑antitrypsin, a2‑makroglobulin, haptoglobin and caeruloplasmin) showed a surprisingly rapid increase after CM (p< 0.01) in the atopic group; by contrast the control samples remained in the normal range. Serum histamine levels (RIA-Test) also showed a significant increase 1/2 hour after CM and after individual oral provocation with lactose, sucrose, tyramine, serotonine or phenylethylamine, respectively. The carbohydrate intolerance reactions (H2-test) were in good correlation to the significantly lowered disaccharidase activites (lactase, sucrase) in the gut of atopic eczema patients (p< 0.001). This was closely related to chronic intestinal dysbiosis with toxic microbial breakdown products (alcohols, aldehydes, phenols, diamines) leading to an increased intestinal permeability, histamine release and impairment of liver detox functions. On the other side, we found both in atopic eczema and in psoriasis patients pseudoallergic reactions against biogenic amines and constantly raised serum histamine levels (also in fasted patients), suggesting an inhibition of catabolic enzymes (MAO, DAO, NMT). Previously published results from our laboratory showed significantly reduced DAO (p< 0.001) and Type B MAO- (p< 0.05) activities in thrombocyte-rich plasma of atopic eczema and psoriasis patients explaining their intolerance reactions to histamine, tyramine and octopamine rich foods. Last, but not least, the chronic increased levels of free radicals in whole blood and plasma of all patient groups showed significant changes after oral intake of different food homogenates/ juices dependent on their ROS-blocking or ROS-increasing effects (enhanced chemoluminescence test). Our current research shows that appropriate combinations of hypoallergenic protein hydrolysates with particular sugar alcohols and omega-3 fatty acids (Equiderm Plus®) are dramatically enhancing the anti-inflammatory and free radical quenching properties of the mixture, demonstrating an excellent compliance and therapy efficiency in atopic, psoriasis and geriatric patients. With the emergence of affordable microarray gene expression profiling methods, the opportunity arises to ex-vivo test certain combinations for their silencing ability on inflammatory genes before administering the nutraceutical to the patient (nutrigenomic evaluation). The input of the above mentioned nutritional data in a computer supported, individual rotation diet plan (Food Allergy Control®) ensures a gradual improvement of the symptoms and stabilization of the clinical course during and after therapy.